The October Showdown at Dome Valley Raceway finished up on Sunday with eliminations in the heads-up categories and Pro Bracket classes. Dennis Rieck was the big winner as he took the Top Fuel class running Low ET of the weekend in the final with a 2.426 to defeat Matt Ludlow. 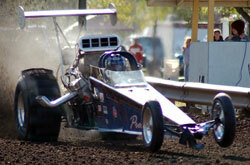 Billy Morris took two victories as he was the winner in both Top Eliminator and Super Eliminator. 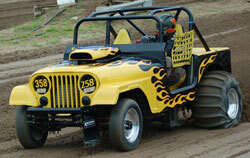 Brian Root drove his brother Barkley’s Jeep to the Pro 1 Cars victory. Other winners from this even include Wes Johnson (Pro 2), Keith Ahart (Motorcycle Pro 1), and Mark Ratliff (Motorcycle Pro 2). 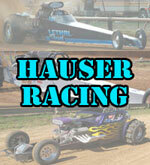 The 2010 sand drag racing season is in its home stretch with just a handful of events remaining on the schedule. 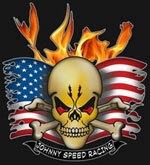 NSDN is heading this weekend, October 15-16 to Little Sandy Raceway in Grayson, KY for the Show Me The Money race. There should be a good contingent of Midwest racers heading to Kentucky to compete for the great purse that is on the line. Our next stop will be Dome Valley Raceway in Wellton, AZ October 23-24 for the October Showdown. This event will be highlighted with several Top Fuel cars coming out to test along with a great contingent of heads-up and bracket class entries. These two events should provide some great action, so stay tuned as we finish up October on a high note with two great Daily Race Coverages. Dome Valley Raceway in Wellton, AZ has released a race weekend schedule for the upcoming October Showdown on October 23-24. The document with this info is attached below, and also included directions to Dome Valley Raceway. Thunder Valley Sand Drags in Grain Valley, MO has been plagued with bad weather all season long, but they were able to hit on a great first weekend of October to hold their biggest race of the year, the Show-Me Fall Nationals. This Friday-Saturday event featured a different race each night. Racing action was great on track, continue on to read the outcome and see some great photos from our friends at Lone Star Graphics. Ionia Sand Drags in Ionia, MI held their Season Finale Double Header Race in late September. Cool temperatures and a fast track for the Michigan racers led to an exciting season closing event. Read on to continue this race recap. Terry Glasscock was the big winner during the final night of action at Thunder Valley Sand Drags 2010 Show-Me Fall Nationals. Glasscock defeated a tough eight car field & won the final round on a hole shot over Jeff Sieg. Bill White emerged victorious in an extremely competitive Pro 1 Cars class. Joey Hibdon made it a clean sweep of the ATV classes taking Pro 1, Pro 2, and Sportsman ATV class wins. Keep an eye out for more video from this event through the week.